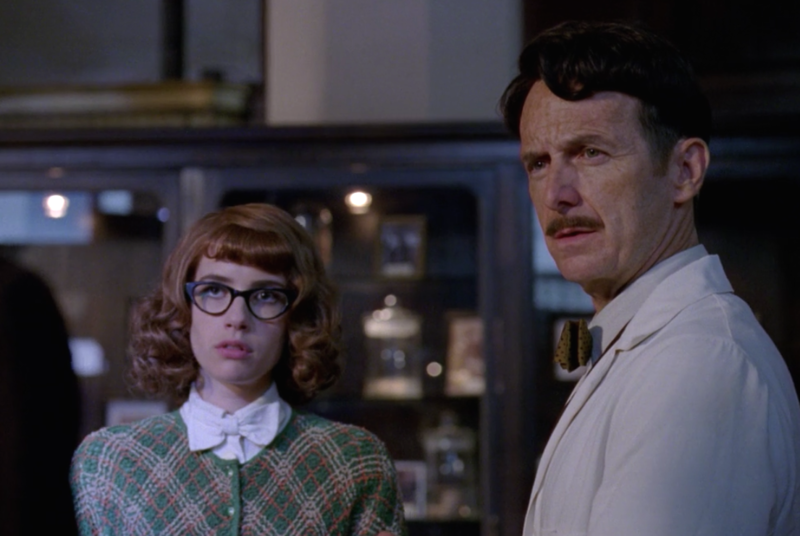 Denis O'Hare and Emma Roberts once had a scary encounter with alligators filming "American Horror Story: Freak Show"
After seven seasons, you’d think that the cast of American Horror Story has seen it all — been there, done that. While the cast is quick to point out that they are constantly surprised with whatever Ryan Murphy cooks up, they’re not really freaked out by anything anymore. That is, unless it happens to be a *real* situation that they find themselves in on the fictional TV show. At the American Horror Story: Roanoke PaleyFest Sunday night, HelloGiggles caught up with Denis O’Hare who has been with the anthology series from the very beginning. As for what actually scared him on the show, Denis explains that the basement from Season 1’s Murder House still freaks him out (yeah, same), but it was actually something that happened during Season 4’s Freak Show that really, well, freaked him out. "There were some really tough scenes in freak show, shooting that was really hard because we were actually out in a swamp with real alligators," He explained on the red carpet. "I was shooting with Emma Roberts one night and...the lake is down there, maybe about 25 feet away and we keep hearing rustling. It was an alligator. And when you're shooting something, you can't stop." "I'm like, 'Is anybody [on the crew] gonna watch our backs if this thing comes out us?' They weren't, because they were all busy watching us [film the scene]. So that was kinda freaky. Watching the alligators coming near us." Obviously, neither one of them actually came face to face with an alligator down in the lagoon, but clearly it was not a fun night of shooting for them. Here’s to there being no alligators in Season 7 of American Horror Story…but honestly, literally anything could happen. Literally anything.